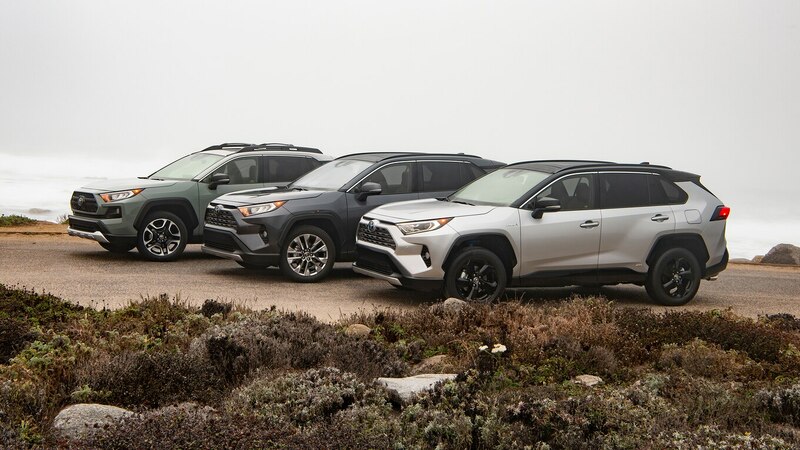 In a bid to hang onto the RAV4’s best-seller status—perhaps with a bit less reliance on fleet sales and incentives—Toyota is taking a page from the Alfred Sloan’s General Motors marketing book by attempting to provide a CUV “for every purse and purpose.” OK, the range of purses covered is narrower than was circa-1925 GM’s, but the breadth of purposes a RAV4 can be specced to handle has never been broader. 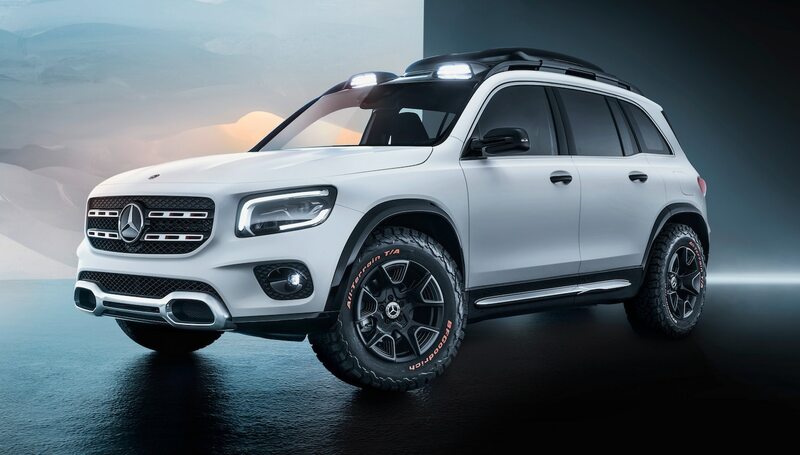 And this Adventure model marks one extreme of that range. 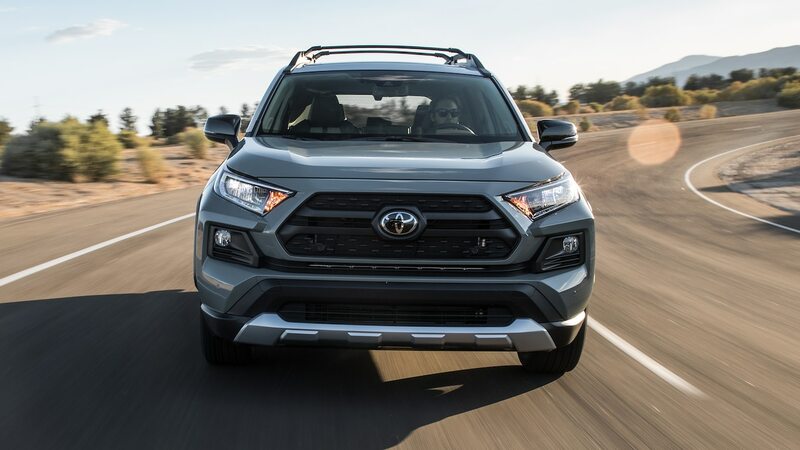 The son-of-4Runner grille design establishes an off-roady mood, and a new torque-vectoring all-wheel-drive system complete with a multiterrain knob featuring mud/sand and rocks/dirt settings backs it up with some electromechanical credibility. 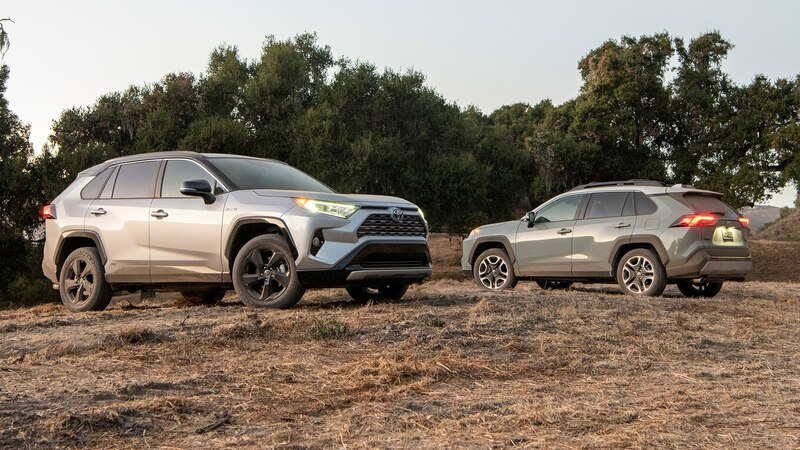 Dubbed Dynamic Torque Vectoring AWD, the new system was developed in house by Toyota, but it works a bit like the GKN Twinster system used in several GM applications and the Range Rover Evoque. 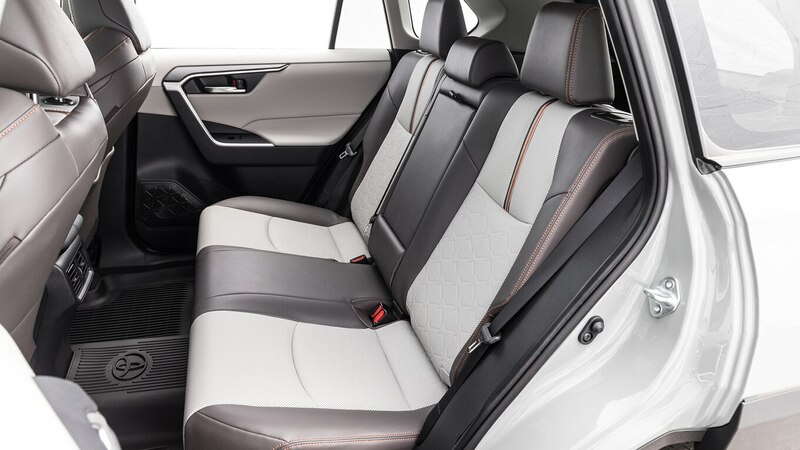 All of the above use two individual clutches that engage the left and right halfshafts on the rear axle. 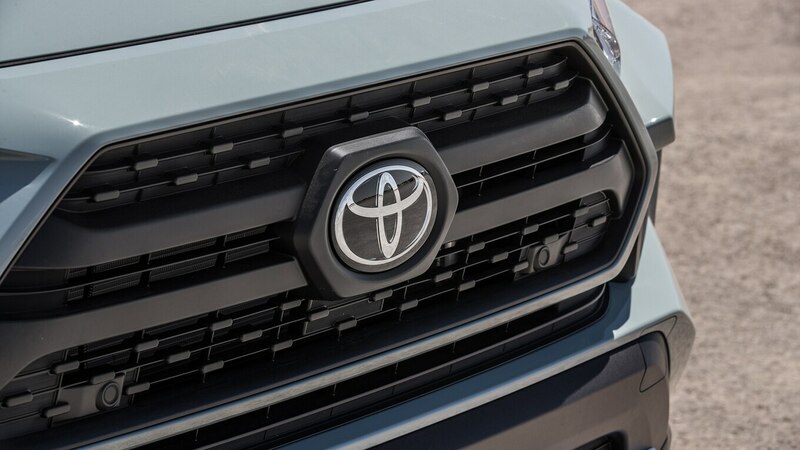 Toyota adds the ability to also declutch the propeller shaft coming from the front to improved fuel efficiency when all-wheel drive is not needed. Notice that despite Toyota’s choice of nomenclature, I did not liken this system to the truly torque-vectoring Twinster setup used in Ford’s Focus RS. 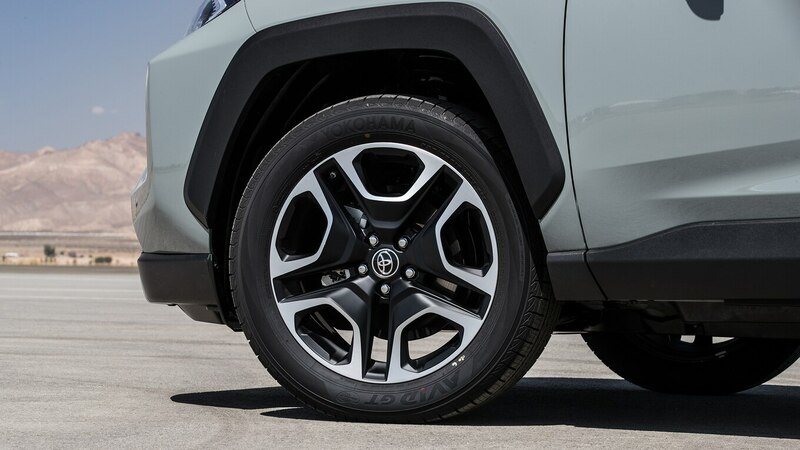 In that system the ratios involved are such that when one of the rear halfshaft clutches engages fully, it overspeeds that wheel to help yaw the car around a bend. 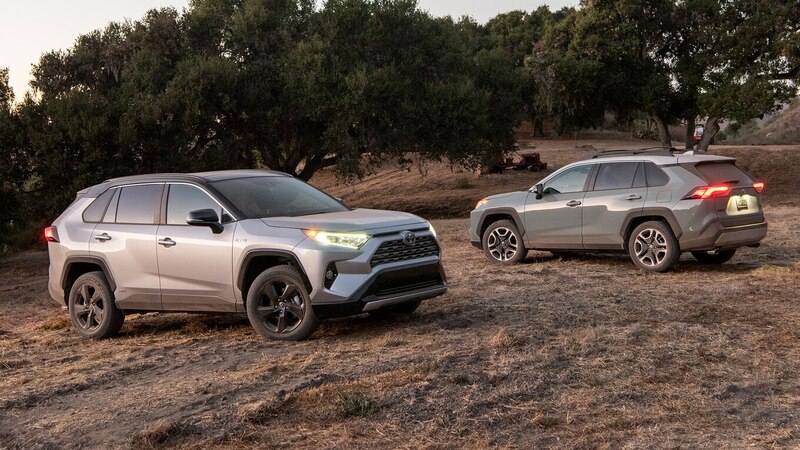 All the ratios used in the Toyota system (and in the GM and Rover applications) are shared with the front axle, so there’s no overspeeding and it’s hard to sense the system pivoting the vehicle the way one can in a Focus RS or in an Acura with SH-AWD. Toyota does provide a graphic showing where the torque is being allocated in real time, however, just like Acura does. 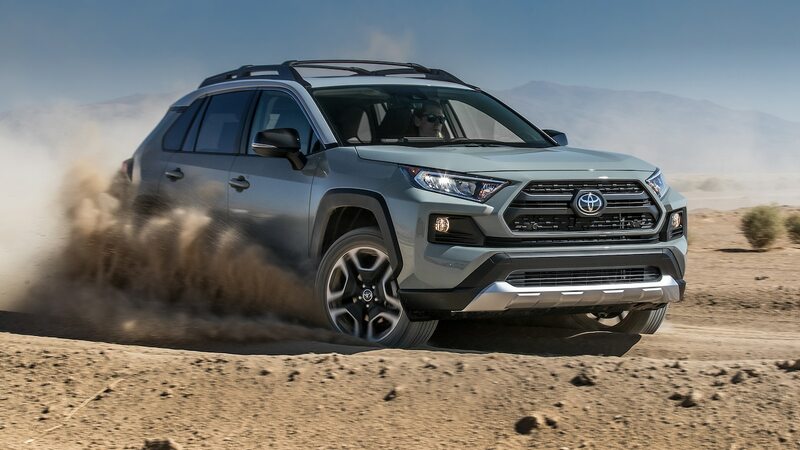 The system, which also comes standard on RAV4 Limited AWD models, helps off-road, as well. That’s because when a rear wheel slips, its clutch can open so that all of the available rear torque goes to the tire that has grip. 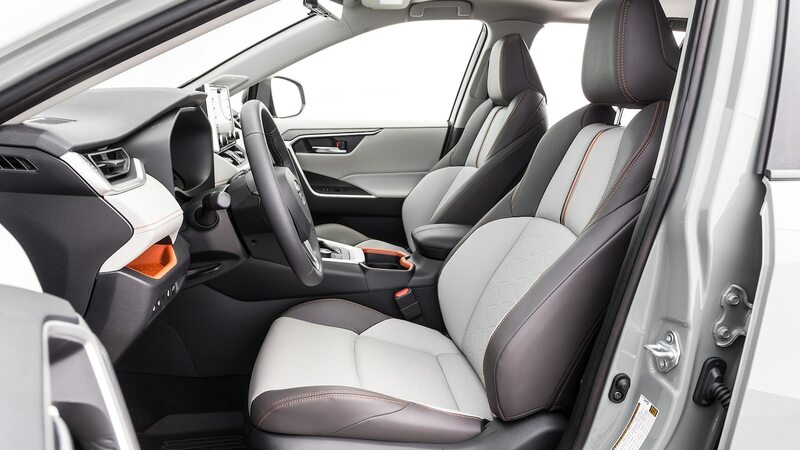 The gripping wheel ends up getting more torque than it would in a system that brakes the slipping wheel in order to send torque to the other wheel. 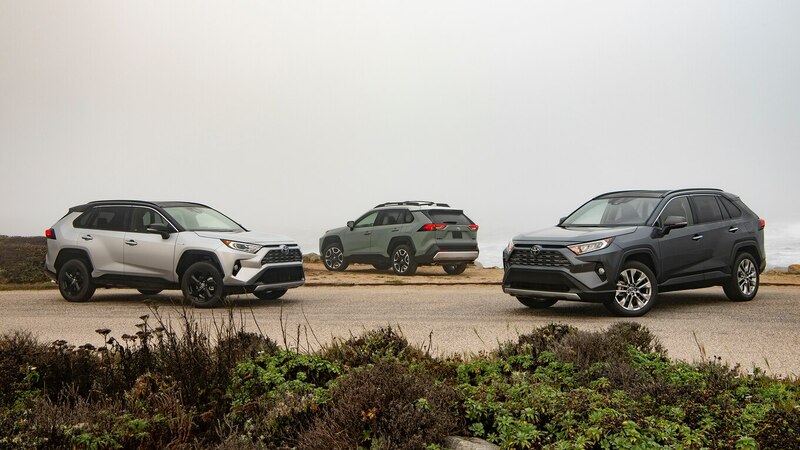 You probably shouldn’t expect a RAV4 Adventure to outperform a Jeep Cherokee Trailhawk at Moab, but you can probably expect it to handle rougher stuff than most of its compact-CUV peers are prepared to tackle. Our initial test of an Adventure model took place at altitude in high heat that may have exceeded the accuracy range of our weather correction by a smidge. This one, tested back down in more normal conditions, perked up by a few tenths: 0–100 km/h took 8.5 seconds, and it crossed the quarter-mile mark in 16.6 seconds at 137.1 km/h (respectively, that’s 0.3 second and 0.2 second/2.25 km/h ahead of the heat-stroke Adventure). 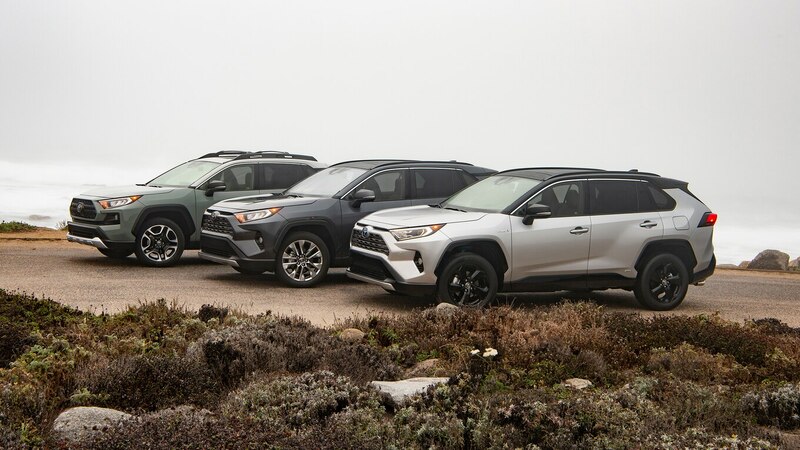 These results put the RAV4 slightly below average in a class bounded by the hot-rod Chevy Equinox 2.0T (6.6 to 100; 15.2 at 148.2 km/h in the quarter) and the poky Subaru Forester (9.6; 17.3 at 132.4). 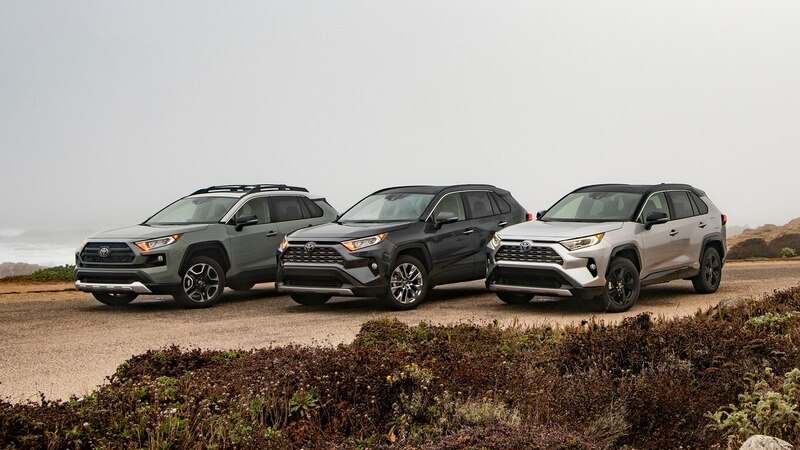 Braking and lateral grip roughly hit the average at 126 feet from 100 km/h mph and 0.81 g.
Somehow the RAV4 puts it all together for a way-better-than-average figure-eight lap of 27.5 seconds at 0.62 average g. Not only does that handily beat the racy Equinox 2.0T’s 28.0-second, 0.61-g lap, but it also ranks this RAV4 fourth in a field of about 30 recent competitor cute-utes and new RAV4s. 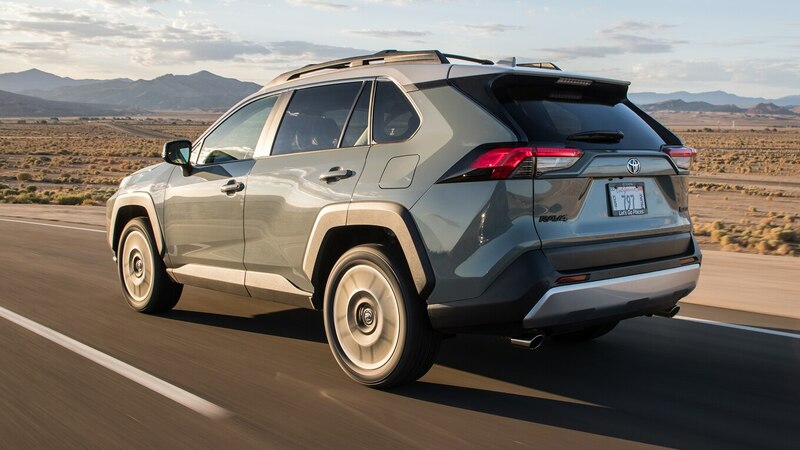 With below-average acceleration and braking, the best explanation for this figure-eight fitness is its especially adroit handling in the transitions. This suggests that, despite the fact that we can’t feel it working, there may indeed be some useful torque vectoring going on in the back. 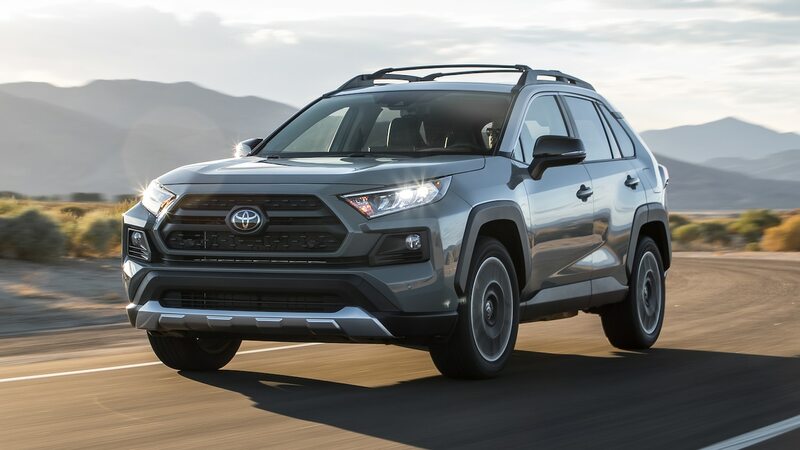 It’s interesting to note that the speed-demon’s RAV4 variant, the XSE Hybrid, is a second quicker to 60 and through the quarter mile but is 0.9 second slower around the figure eight. 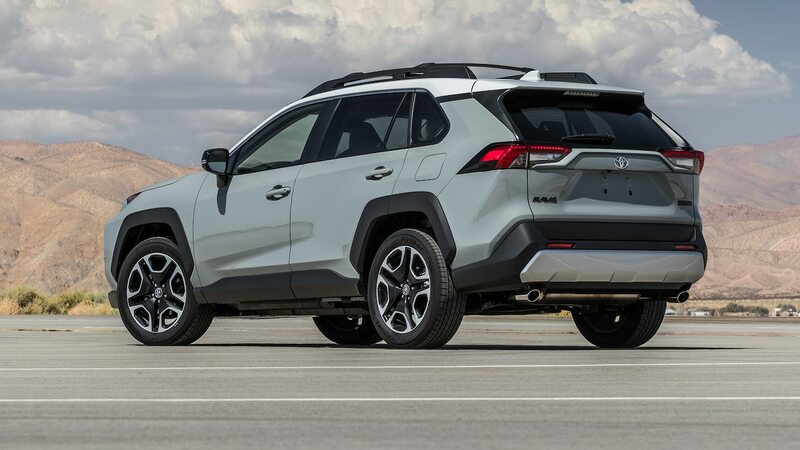 Credit the 185 extra pounds of batteries and so forth and the fact that its electric rear axle lacks any torque vectoring capability. 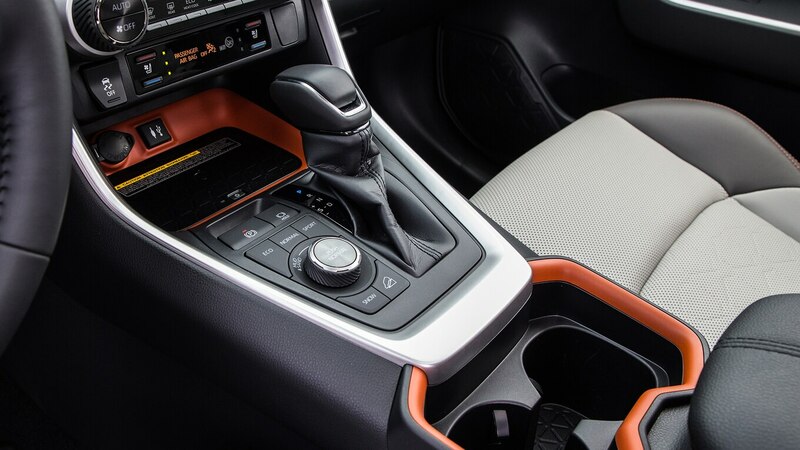 The Adventure model’s rugged styling and cool choice of interior colors and materials (love that orange stitching!) will surely lure takers, even at the lofty entry price of $33,945 USD. 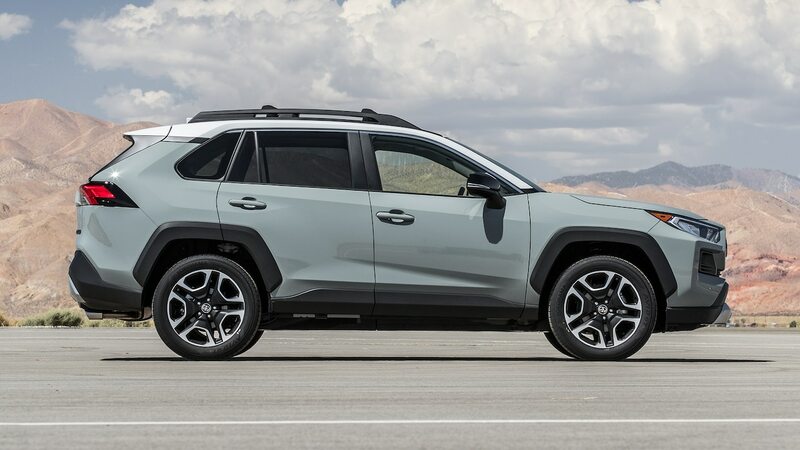 If you’re worried the Adventure won’t get you far enough off the beaten path, prepare to pay $1,245 USD more for that Cherokee Trailhawk, and be patient rounding those figure-eight-like curves in it.